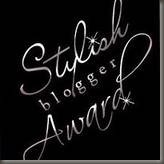 I'm very grateful to receive this award from my lovely fellow blogger Diane. Check out her blog for book reviews, quilting and card-making! 1. I got a Kindle for Christmas and absolutely love it! 2. I started knitting again this month, after not picking my needles up since I was nine years old, and now have the beginnings of a blanket. I'm currently on square #3 so it's got a long way to go! 3. I have two cats, Sophie and Sparky, that I miss quite a bit when I'm away at university. 4. I have three beauty spots on my right cheek in the shape of a triangle. 5. While I love a glass of wine in the evening, I also rather enjoy Dr. Pepper. 6. I started taking Zumba classes this year and recommend them to anyone who likes to dance but would rather have fun than follow strict posture rules! 7. I spent a quiet Christmas at home this year with just my parents, my younger brother and the cats... after doing the rounds with my boyfriend's family on the 23rd and 24th, that is! 8. My exams start on the 13th of January so I should really be studying right now! Thanks for all the excellent reviews and recommendations, girls!